There’s nothing like spreading joy to others and the holiday season is the perfect time to do so! Whether it’s finding a special gift for someone in our 12 Days Of Coziness Gift Guide or helping those in need stay warm during Winter, spreading the joy of giving always puts a smile on people’s faces. Speaking of spreading joy, Cost Plus World Market is doing just that with their “Watch & Win” Sweepstakes! You could win one (1) of seven (7) weekly $1,000 World Market gift cards! 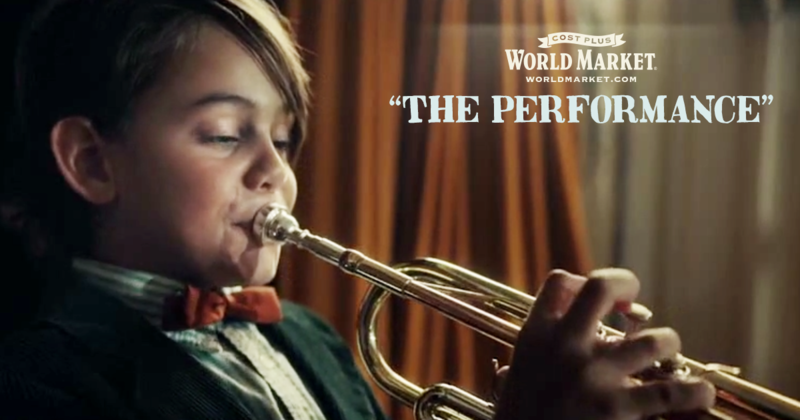 Watch Cost Plus World Market’s “The Performance” holiday video and answer a question for a chance to win a weekly prize of $1,000! They’ll have a new question each day. Enter now at WorldMarketSweepstakes.com . his trumpet who finds the inspiration he needs for a Christmas music performance by gathering the support of friendly llamas. There really is no greater feeling than that of spreading joy to others which is why my family and I have created a holiday tradition we call, “Hidden Hugs”. 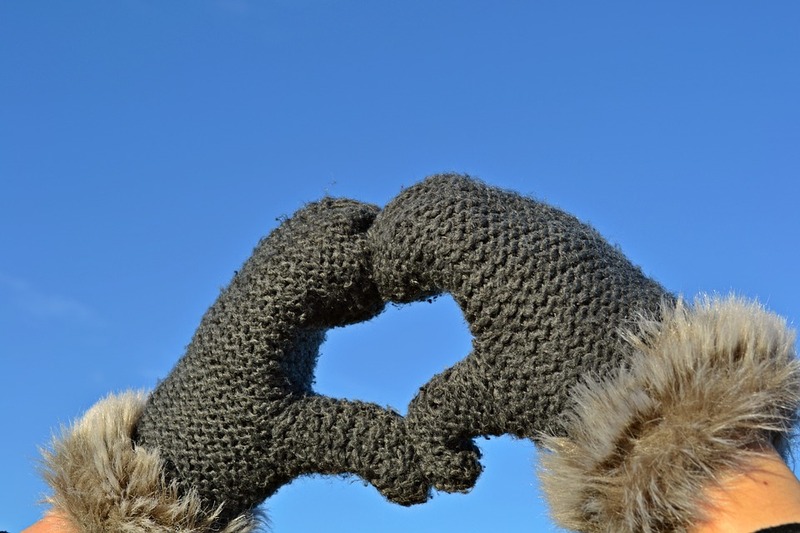 Every year throughout fall and winter, we collect unused and unwanted winter scarfs or gloves. I then make up little tags to place on these items stating, ” KEEP ME! You found a hidden hug!” and we head to areas of our city where we know those less fortunate may be in need of something to keep them warm. We place or tie them to random areas downtown so they can be found and used by those who need them. It’s become one of my favorite things to do during the holidays! Keeping warm during the cold-weather season is something we all strive to do. While shopping at my local Cost Plus World Market in Charlotte, NC I found so many great holiday items, from teacher gifts to relaxation gifts. My favorites though were the all the warm-weather items I found for my family which inspired me to create a 12 Days Of Coziness Gift Guide! This gift guide is great for those that want to make sure their loved ones stay safe and warm this holiday season. 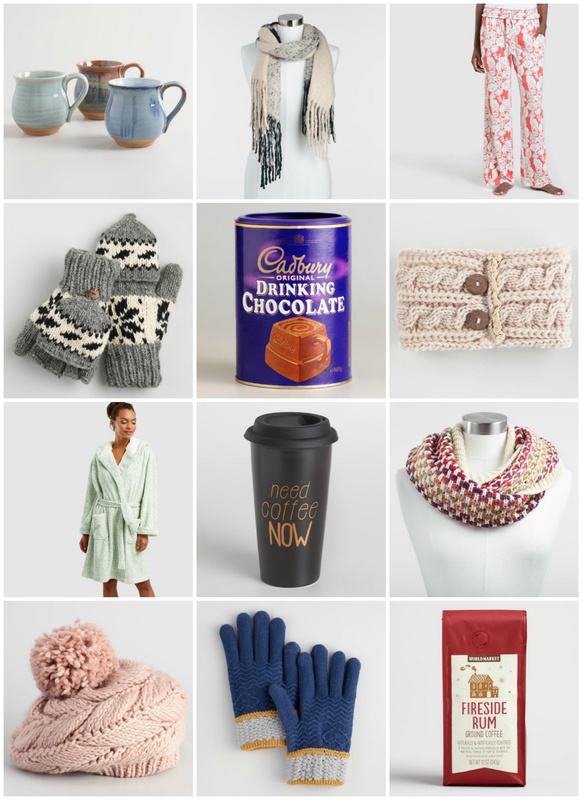 Each item is perfect for gifting, sipping or snuggling with to help keep Jack Frost from nipping at your nose! So are you ready to start spreading joy and warmth this holiday season? Don’t forget to enter Cost Plus World Market’s “Watch & Win” Sweepstakes for your chance at the $1,000 daily prize! Happy Holiday!